The topic I have chosen for my research paper is population concentration in different areas of Dhaka. Bangladesh is the world’s one of the most populated country. And the population problem is the number one problem of this country. Though most of the people of this country live in the rural areas. But now the population of urban areas is also increasing. The density of population is also more in urban areas rather than the rural areas. In past only 4% of the population used to live in urban areas. But now it increased by 25%. Dhaka is the capital city of Bangladesh. Normally it will also have a very large population. Because many people from different parts of the country come to Dhaka in search of work, education purpose, business purpose and many more reasons. In this way the population of Dhaka city is increasing day by day. The population of different areas of Dhaka city is also different. Because some places are commercial some are industrial, some places are only as residence area. That’s why for many reasons, the population of different areas of Dhaka city is also different. The population concentration in different areas also influence the environment and the people of that area. It is already know that the over population is harmful for the environment. It creates pollution of the air, water and environment. It also affects the facilities people are getting from the municipality. Because the over population is creating a critical situation and the municipality is unable to manage facilities for this large population because they have a very low budget for their purpose so the population of different area not only effect the environment it also affects the facilities people are getting from the municipality. I want to discuses in my research paper how the population influences the environment, facilities, what is the variation of population of different area of Dhaka and how this population concentration can be less. The population of Bangladesh is now more than 123 million. And the growth rate is now between 1.6 to 1.8 percent. And every year the population is increasing more than 2.5 million. (Bolkin, 67). So the population is increasing in an alarming manner. The population of Dhaka city is also increasing in a very high rate. And the population is increasing every day because people are coming from other parts of the country to here. This increased population is creating a very serious condition in Dhaka city. The environment is getting pullulated, the people are getting less facility, there are transportation problem and many more problems are happening because of population concentration of Dhaka. So it is very important to know how the population of different area various and how it’s affects. My aim is to find out the reasons behind this increasing population and how this is affecting the general people’s life. I want to discuses in my research paper how the population influences the environment, facilities, what is the variation of population of different area of Dhaka and how this population concentration can be less. The population problem is the number one problem of this country. Though most of the people of this country live in the rural areas, but now the population of urban areas is also increasing. It is already know that the over population is harmful for the environment. It creates pollution of the air, water and environment. My objective of choosing this problem is to get a clear idea about the population problem issue, to gather information regarding the reasons behind increased population in urban areas and how to reduce this problem. The population of Bangladesh is now more than 123 million. And every year the population is increasing more than 2.5 million. So the population is increasing in an alarming manner. The population of Dhaka city is also increasing in a very high rate. And the population is increasing every day because people are coming from other parts of the country to here. This increased population is creating a very serious condition in Dhaka city. The environment is getting pullulated, the people are getting less facility, there are transportation problem and many more problems are happening because of population concentration of Dhaka. So it is very important to know how the population of different area various and how it’s affects. For getting the information I am going to make a questionnaire. Than, I will collect t information from people of different areas of Dhaka city through the questionnaire. I want to collect data from different age group, because different age group can have different type of opinion. I will also take personal interview of these people about their problems due to population. I went to visit different areas to survey what are the problems due to population concentration. In this way I want to collect the data. I want to record this data in the form of pie chart, bar chart, and tables. 1. Do there any variation in the population concentration in different areas of Dhaka? Explanation:Dhaka city is divided into many areas and there should be a difference in the population concentration. Because these areas are divided into many parts for several purpose. Some areas are known as commercial area, some are official, some areas are for residence and some are used for industrial purpose. So pollution also differs in these areas. Because in industrial areas the people only work, doesn’t stay. And in commercial areas there are many offices and organizations. So there should be a difference in population concentration of different areas. From this question this fact will come out that in which areas of Dhaka city there are more people than any other area. 2. How does the population concentration affect the services available by the municipality? Explanation: The over population of an area can also effect the services, people of that area are getting. Because over population hampers the services of municipality. The municipality of Dhaka city gets a low budget to perform its services. That’s why if the population is more than the municipality can control, than there must be a lack of facilities. For example if there is over population than there is a shortage of water electricity and many necessary things. And these things happen in almost every area of Dhaka city. This is very important to know how the services of municipality are affected by the population concentration. Because the aim of research is to find out how population of different areas of Dhaka city affects the habitants of that area and from this question it will come out. 3. How the population concentration effects the environment of Dhaka city? Explanation: It is already known that over population is very harmful for the environment. It effects the environment in many ways. Over population can pollute the environment. There can be much pollution caused by population concentration. The air,water can be polluted by over population. Now a days Dhaka city’s environment is getting worse than before only because of population explosion. (Rahman, 45). Clean environment is the major need for the human being. And the over population hampers the environment and thus the people. Dhaka city’s population also affects the environment and it gives sufferings to the people of different areas of Dhaka. That’s why it is very essential to know what are the pollutions and how it effects the people. 4. Does there any method to control the population concentration of different areas of Dhaka? Explanation: The population can be controlled if we take any effective steps. The population growth of Bangladesh is now less than before only because of family planning and awareness. The population of Dhaka city is also less now. Because most of the people live here are educated and aware of disadvantage of over population. But still now the population is not less than it can cope. That’s why it is still needed to control population. There are many methods to control population. It is essential to know what are the methods to control population and which method is more popular to control population. That’s why it is important to know what are the methods of controlling population. Which methods are more preferred by the people? And from that we can suggest one method, which can be used to control population of Dhaka city. The answer of the research questions can give us information about the population concentration of different areas and the problem related to the over population of Dhaka city. The first research question was doing there any variation in the population concentration in different areas of Dhaka? The answer might be positive. Because all most all of the areas have different population density and it proved that the population concentration could be different. And in Dhaka city each area is used for different purpose, for example for residence, industries, offices business. So the answer can be that, there is a variation in the population concentration in different areas of Dhaka. The second question was does the population concentration affect the facilities available by the municipalities? The answer should be the service of municipalities is hampered by the over population of different areas. Because the service provided by the municipality can be less than it is needed. Sometimes the resources can be less or the municipality can be careless to perform the job. But mainly the over population can be the main reason for hampering the services provided by the municipality. The third research question was how does the population concentration effect the environment of Dhaka city? 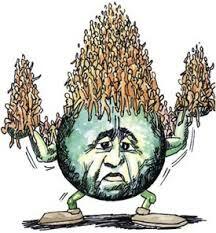 The environment can be effected by over population. It is already known that if population is more then it can cope than there will be pollution and the population of Dhaka city is more than its square km area. So there should be pollution. There can be different type of population such as air, water, sound, industrial, environmental etc. In the Dhaka city most of the area may have sound, water or air pollution. In fact all kind of pollution can occur in Dhaka city. The fourth question was does there any method to control the population of Dhaka city? There are some common methods to control the population. In the case of controlling population of Dhaka city, the same method can also be used. The population can be controlled by family planning, awareness, late marriage, using contraceptives. Most of the people may prefer family planning and awareness for controlling the population. Because the family planning method has decreased the average birth rate of Bangladesh. So it can be effective for Dhaka city too. And if all the people are aware of the disadvantage of over population then these should be less birth rate and it will decrease the population from the above description it can be clear that different people can have different opinions about the population concentration of different areas, they may have different problems related to pollution, facilities availability and the method of controlling population. For getting the information I have made a questionnaire. Than I have collected information from 30 people of different areas of Dhaka city through the questionnaire. The information collected from the samples gave me some clear view about the problem. Most of the people agree that there may be a population concentration in different areas of Dhaka. And also said that they are having problems due to population concentration. Most of them facing garbage problem and they have lack of water and electricity. And almost all of them are having pollution in their areas. They are facing air, water, sound pollution and all most all of them are getting fewer facilities in their areas. I have collected data about the family size, facilities people of different areas are getting, pollution occurred due to population concentration. There is lack of electricity and water too. All these things are necessary to find out what is the effect of population concentration in different areas of Dhaka. How these effects the facilities people are getting from municipalities. What is the pollution caused by over population of Dhaka city? How can this increased population can be controlled? To know the answer of all these questions I had to find out these data. From these data I can view the problems due to population and their solutions. I have collected the data from 30 people of different areas of Dhaka through the questionnaire. I went to different areas of Dhaka from the posh areas like Gulshan, Banani to the rural areas like old town. From these areas I have collected different type of data. I have collected data from different age group. Because different age group can have different type of opinion. I also took personal interview of these people about their problems due to population. I went to different areas to survey what are the problems due to population concentration. In this way I have collected the data. I have collected this data few days before in this year 2001, in the month of October. I have collected this data from difference part of Dhaka. Mostly from the areas like Gulshan, Banani, Dhanmondi, Shantinagor, Mogbazar etc. From these different areas I have collected different data. I have recorded this data in the form of pie chart, bar chart, and tables. I have recorded this data in a simple and systematic way. So that it can be understood clearly. And it can attract the reader’s attention to the problem. From the 30 samples I have collected some data. They have mentioned about the facilities they are getting, the pollution due to over population, the problems rose for increased population and their opinion about controlling pollution, factor for choosing a particular area through the questionnaire. From their opinion I have collected the data about facilities they are getting. Most of them think that they are getting less facility due to over population. About 18 people said that they are getting fewer facilities due to over population concentration. Only 8 people said that they are getting enough facilities. And the rest 4 people said that they are not getting any facilities. So it can be said that most of the people of Dhaka city are getting less facilities. And the reason behind that must be over population of different areas. Garbage problem also happens in many parts of Dhaka city. But in the posh areas this problem is less. From my research I have found that 12 people are getting no garbage problem. In percentage, which is 40%. But rest 18 people are getting some problems of garbage, which is 60% of total population. So this problem is a daily problem of Dhaka. Much pollution is caused by population concentration. These are air, water, environment and sound pollution. All people who are my sample have pollution in their areas. Most of them have environmental problem. But all of them are having air, water or sound pollution. They are having all this pollutions only because of population concentration. In the newspapers, books, journals I have saw that the environment of Dhaka city is getting polluted due to over population, increased transportation and the increases the density of population. So my research also gives the same data that over population caused the pollution. People select a particular area due to some reasons. This can be higher standard, cost of living, and transportation. 14 people from my sample said that they choose a particular area for cost of living. In percentage it is around 46%. And another 10 people prefer transportation, which is 33% and another 6 people told about higher standard, which is 20% of total population. So it can be said that most of the people stays in that areas where the cost is less and where they get transportation facilities. That’s why in the roads we can see the garbage spreading. There is some methods use for controlling population. Some methods are very effective for controlling population. These are family planning, awareness, using contraceptives, and late marriage. About 16 people of my sample prefer family planning. 9 people think that awareness is essential for controlling population and only a small part prefer contraceptives, and late marriage. So it can be said that family planning is most popular methods in controlling population. And it is already know that family planning has reduced the population of Bangladesh. So my survey also gives the same result. From my whole research I have come to the conclusion that the population concentration is one of the most major problem of Dhaka city. It creates many problems such as pollution, less facilities, garbage problem and lack of water and electricity. This problem can be solved only if we are conscious enough and make effective steps to reduce this problem. If all of us takes some steps to clean the environment, the area we are living. The government should also take some measures to fulfill the need of electricity and water supply. This can solved the problems by shortage of these things. If the people are conscious about their environment then it can reduce the population. If people put waste in the garbage bag then it can pollute the environment less. If we reduced the use of transportation then there can be less air and sound pollution. If people take some steps to control population such as family planning, using contraceptives, awareness then it can reduce the population and thus the problems related to over population of Dhaka. So in the conclusion it can be said that the population concentration in different areas can be less if we take some steps. And the problems related to this over population can also be solved only if we are willing to do so. So we should immediately take steps to control the population of Dhaka city and the problems related to that. 1. Bolkin.Deniel b. and Edward A. Keller. Environmental science: Earth as a living planet. New York: Jone Wiley $ Sons, Inc,1995. 2. Rahman ,A Atiq and Ranna Haider. Ed. Environment and development in Bangladesh Dhaka: University press limited, 1994. 3. Rahman, M. Mokhlesur and Md. Delwar Hossain. Ed. Statistical yearbook of Bangladesh.1993. Dhaka: Bangladesh bureau of statistics.